This is a river in my neighborhood. Many rivers here have jumped their banks. We've had below 0 F temps last week, and all of a sudden last night things got warmer, and it poured rain, along with unseasonable thunder. The temp today was 57 F. What a mess. Water is everywhere. Ground is frozen, so the water just runs off. I've got water in my basement. Been mopping all day. Thank God it's foggy tonight...it'll take away some of the moisture. ...and Friday...we're back in the single digits, so, it will all freeze, again! Yeah it's pretty powerful, brings a lot to the mind. That picture of the Priest blessing the guns is pretty ridicules, can't believe they even aloud that. Perhaps he is blessing them so that they kill as few as possible. Sanctifying all matter means all matter. Of course the priests probably don't do that to the brothel as well. 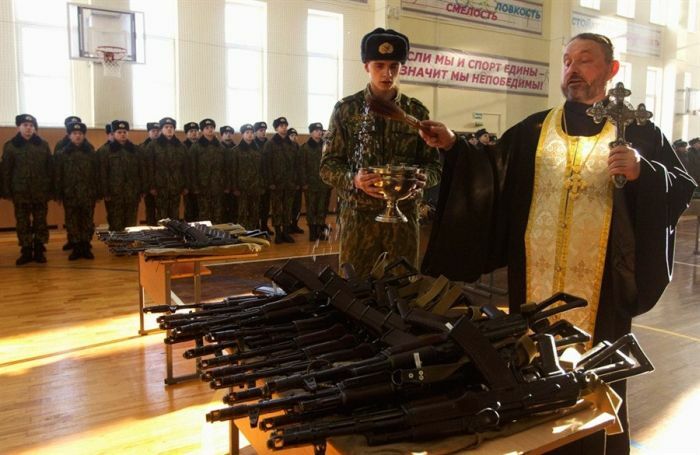 This is standard in Russia, and I have many pictures of the blessing of rifles from there. I think this is a good practice. Not to get into a debate, but what's good about using the power of God to bless the product of evil, something God did not create. If it wasn't for evil, we wouldn't need to protect our countries with high powered weapons from said evil and or cause evil with weapons. (Hunting animals and hunting rifles are different for obvious reasons). I don't approve of this practice, but who am I.
something God did not create. "O Lord, save Thy people, and bless Thine inheritance. Grant victory to Orthodox Christians over their enemies, and by the power of Thy Cross, preserve Thy habitation." Great picture. This is not a blessing of sinful deeds. We also pray for the army in our Liturgy. It is not a license for them to do wrong. Soldiers need grace and protection just as much as we do. Evil, God did not create evil, that's a well known fact. Our enemies are the Devil and his demons, sorry Fr. I refuse the idea of standing up to our enemies in such ways, if I did, countless martyrs would have died in vain. "Forgive them, for they know not what they do." Then bless the soldiers, not weapons, what kind of message does that send to people!? Peacemaker, I think you are reading all kinds of things into what I and maybe others wrote. Of course our enemies are the devil and demons. I don't advocate aggressing against people. But weapons are a tool to a soldier. If we have armies, we have soldiers, and they will have weapons. Their weapons can keep them alive, used in self-defense, just as the bungee cord of a bungee jumper can keep him alive, but can also lead to his death if poorly constructed. The existence of armies and soldiers is not mutually contradictory to the personal choice of Christian people to allow themselves to be raped or killed rather than resist. This path always exists for a Christian. As for guns, there is a lot of statistical evidence that when there are more guns in the hands of trained and non-criminal citizens, the incidence of violent crime goes way, way down. The crime hotspots in America are precisely the places where guns are banned for citizens. It is not that a gun even need be fired; just the presence and possibility checks the impulses of remorseless criminally-minded people, gives them pause. So, does that make sense? In a brutal world such as the one in which we live, more guns can mean that fewer people are killed, fewer people are robbed, fewer people are attacked, harmed, and injured. And who wants people to be maimed, murdered, violently attacked? Do you? The path of complete non-violence, though, soars above the statistics and is an otherworldly witness. It is not either/or, but both/and, in this matter, so it seems to me. At some of my classes 80% fail and it's considered completely normal. These are so interesting classes people take them 2-3 times. Based on the way foreign teachers teach here in America I'm not surprised. 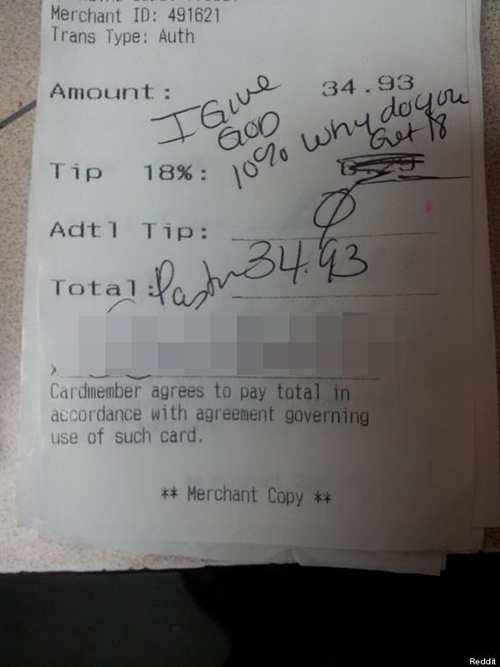 They have no idea that is important to explain what we're actually trying to accomplish and just go "No, no worry about what you are trying to do or what it means, just do as I say." My professor was actually praying during our exam that I failed for sure the other night... I'm sure he was praying someone passed. Ha ha! Good one! Kto ye pan Orthodox!!?!? Ha ha! I think she's looking down the street past smoking lady and not really concerned. Misleading pic in many ways but in many ways it says a lot. 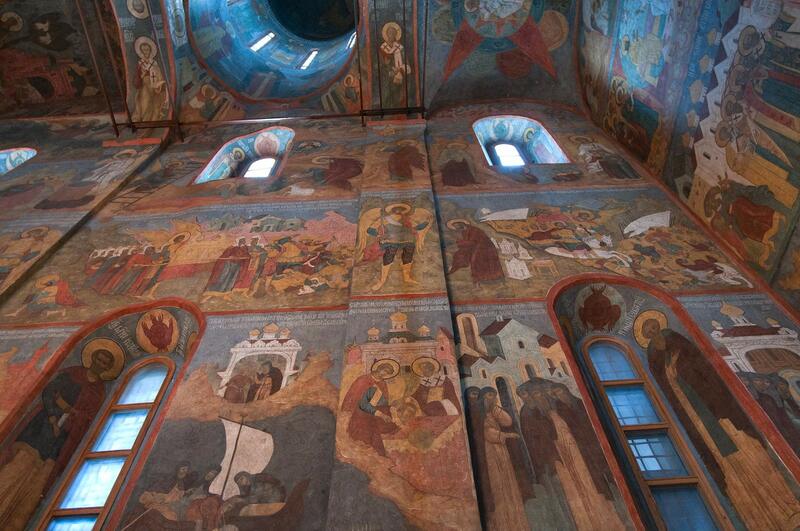 That is Archangel Cathedral in Moscow. By Greek standards, nothing the woman on the left is doing/wearing is out of the ordinary. Is it just me, or is that Priest's expression saying, "Dayum, that's alotta dakka!"